from only € 28 / Month (Max. 5 years) ! What possibilities are there and for how much? Many foreign students have to attend the preparatory course (Studienkolleg) in Germany for about two semesters. During the preparatory course, all the college applicants from abroad are prepared for studying in Germany. For this period of time they also need an appropriate health insurance that is valid in Germany and which will defend them against the high cost of the doctors or hospitals. Unfortunately, as student participating in the preparatory course (Studienkolleg), you cannot have the cheapest student health insurance (approx. 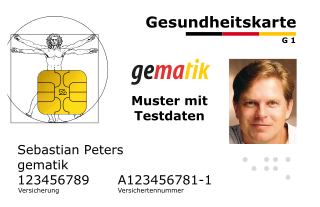 € 82 per month) offered by the public health insurance companies such as AOK, Techniker Krankenkasse(TK) or BKK. These can be contracted only after the start of the actual study year and indeed possible to a maximum of 30 years of age. What can you do as a student participating in a preparatory school course (Studienkolleg) and how much does the insurance cost in this case? For the interim period of the Studienkolleg, you can consider only a private health insurance. Prices start from 28 Euro per month and can range up to 180 € per month. The rates of the insurance coverage often depend on the age and health status of foreign students. In our opinion, the Hanse Merkur Versicherungsgruppe currently offers perhaps the best value for money with prices starting at only 28 € / month. You can choose between a simple plan with basic benefits for 28 € / month or the luxury version for 63 € / month with more extras for eyeglass wearers and students with frequent dental problems. Another plus point is the possible duration: you can extend this insurance up to 5 years in total. A long-term insurance offer that only few of the other insurance providers have.